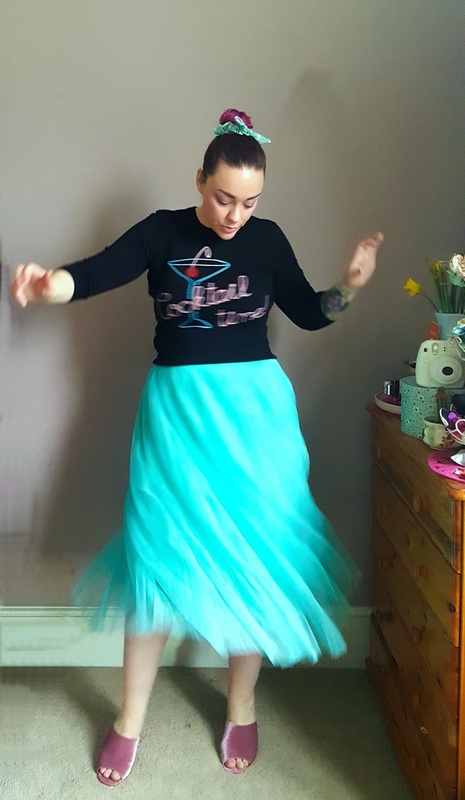 hands up if you're as obsessed with joanie clothing as i am? 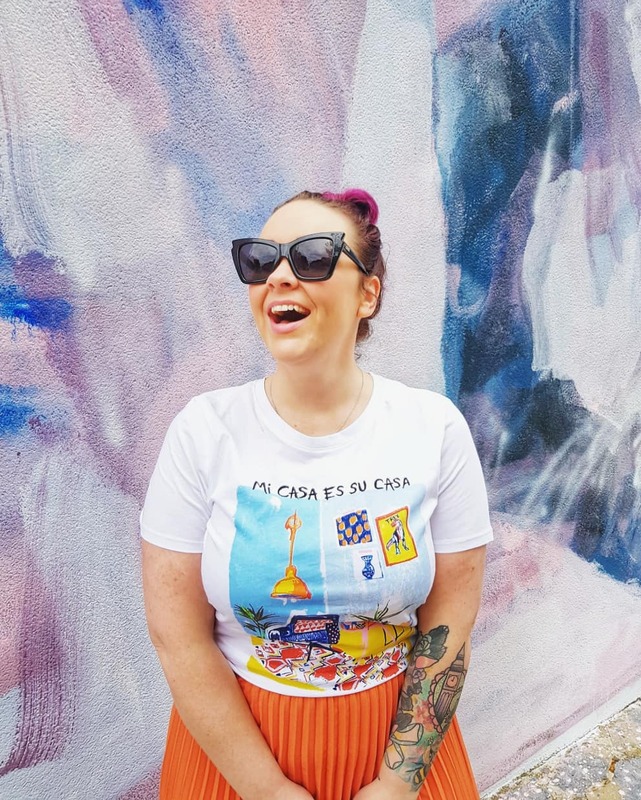 seriously, it's like on day i heard about the brand and then the next, they were the biggest thing in the blogosphere - and it's not hard to see why. their retro-inspired pieces are super flattering in modern cuts, but all still maintain the authenticity of a time gone by. 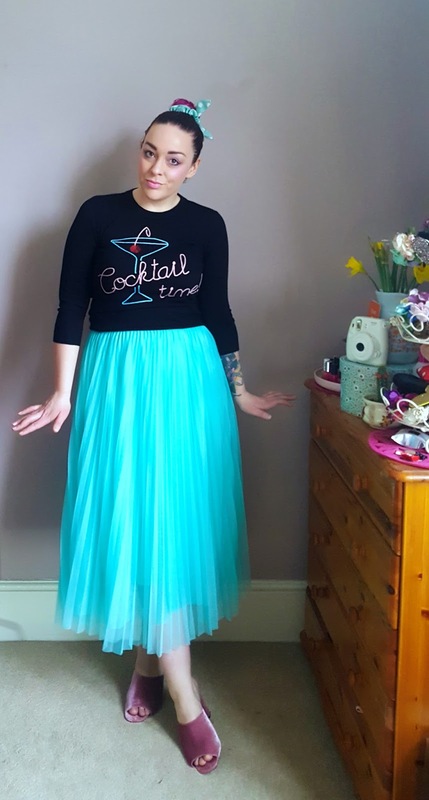 the jumpers are fitted and cut with a three quarter sleeve, and the dresses are all kinds of perfection. 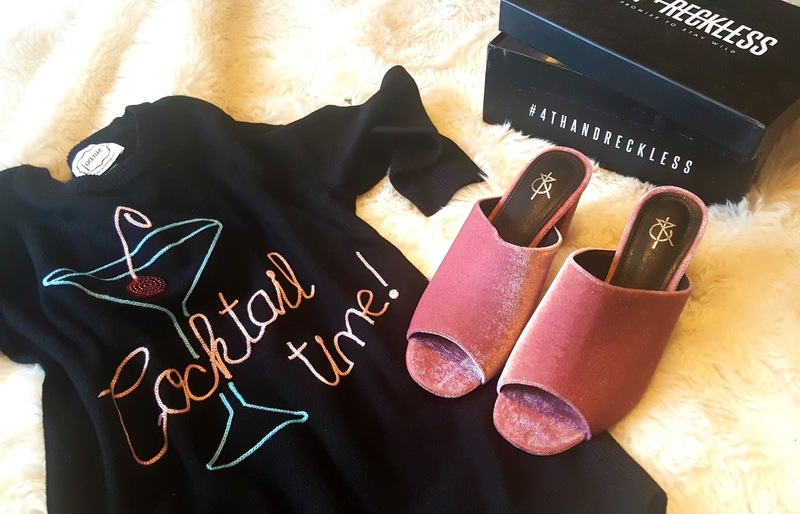 cocktail length and incredibly well-made, the entire range is slowly but surely making its way into my wardrobe - and i ain't mad at that! 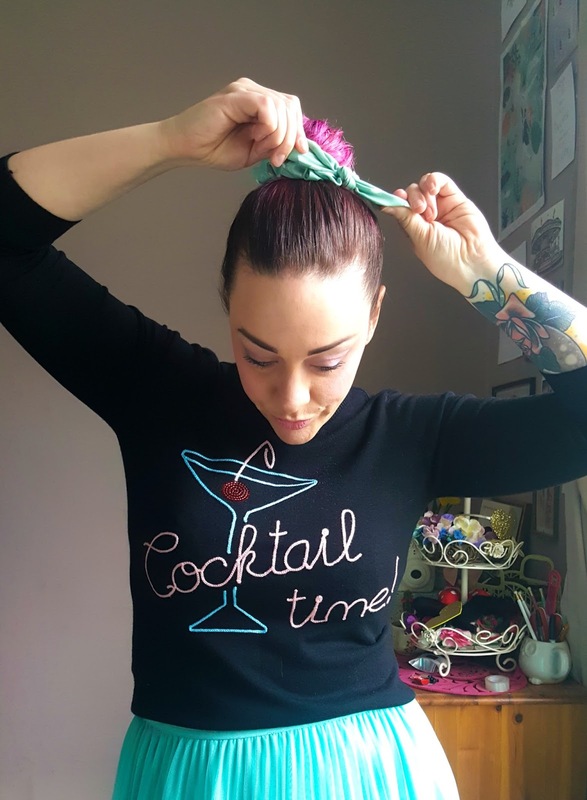 and speaking of cocktails, when i saw this slogan jumper while scrolling the pages of beautiful products, i was smitten. i'm not normally one for a novelty tee, but of their range, i now own two. and, they get loads of compliments whenever i wear them too, so now there's definitely no going back. this one though, the second i saw it, i knew how i would style it. 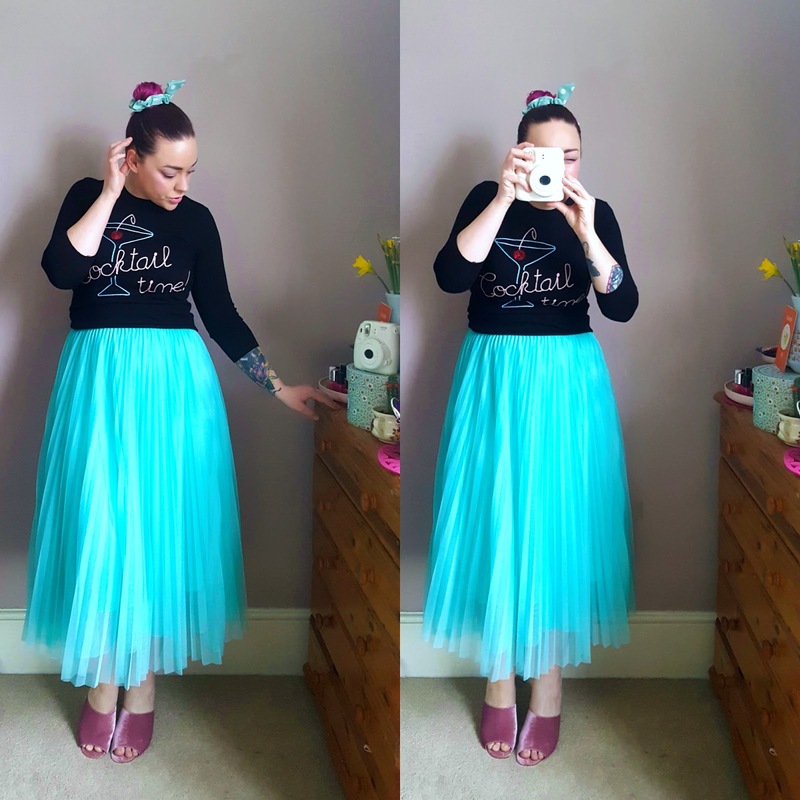 i've not had enough reasons to wear this louche tulle skirt that i was very generously gifted from ally during our frock swap days (look how skinny i was, argh! ), but now with the addition of this jumper, i can't see myself ever wearing another combo again. sorry 'bout it. 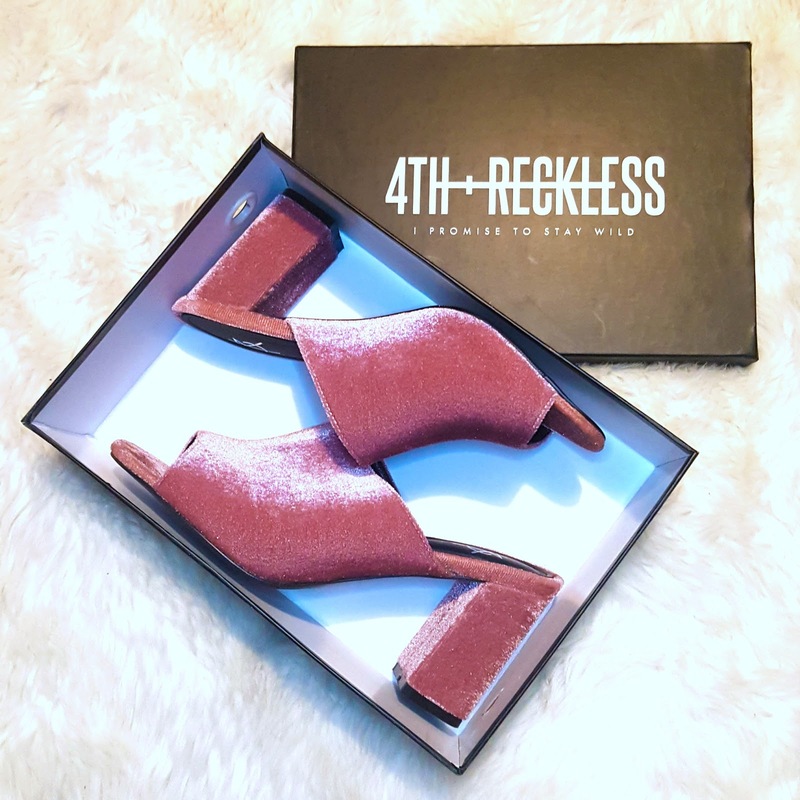 then these velvet mules appeared on my doorstep from new-to-me brand 4th + reckless, and i knew the outfit was complete. the dusty pink velvet is so pretty and soft to the touch, and the shoes themselves are really comfy (i've never worn a mule before!) too, so they really are the cherry on the top of a perfect outfit. now i just have to wait for the right weather to let these delicate shoes out into the world. 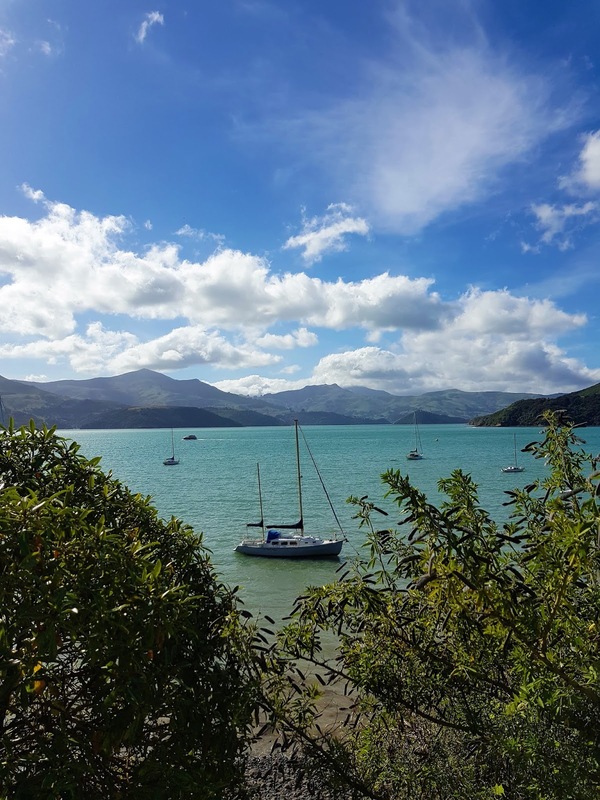 come on spring - won't you hurry up already!